Manufacturer and distributor of joystick controllers & control boxes for aerial equipment. C-Tech Industries is a leading manufacturer and distributor of joystick controllers and control boxes for aerial equipment. We supply control systems and service parts for all major aerial lift equipment manufacturers, including obsolete brands. 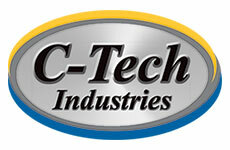 At C-Tech we strive to exceed our customer’s expectations with quality parts, competitive pricing, a diverse product line, and a friendly and knowledgeable staff. From sales to shipping and all steps in between, your total satisfaction is our goal.